Kindly indulge us for one sec.......WE WON!!!! 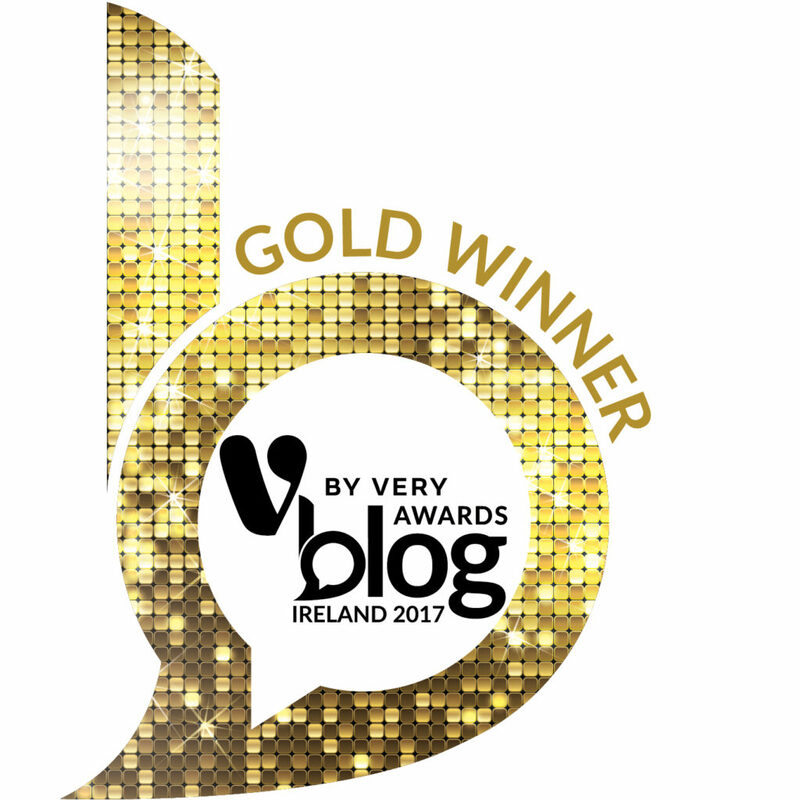 Best Finance Blog 2017 (among solid company). We're chuffed! Thanks to you all for your support & encouragement over the last 16 months or so.....this blog/podcast would not be in existence without you, and that's a fact! So that's that bit done and dusted.....moving on........! This week we take on a subject which, while not that earth-movingly exciting, has gained in popularity over recent years in the investment industry, and that subject is rebalancing. Rebalancing, in the simplest and most honest terms can be described as taking money out of your 'winners' and putting it into your 'losers'! Please bear with us and we'll explain! With lots of lovely head-lines lately talking about Equities at all-time highs and general euphoria about investing.......it might (or might not pay) to be aware of rebalancing, and how it impacts on your investments. When it comes to investing in Ireland in 2017 or indeed most aspects of creating investment portfolios, since 2008 there has been a sharp focus on ensuring that investments are well diversified. Due to the scorchingly severe falls in values of equities and property at that time people have been once bitten and are now twice shy. There is now a big push to diversify between different asset classes to reduce that volatility & who'd blame them.....even though it this does fly in the face of the fact that a broadly held basket of equities outperforms any other asset class over the long term! Product providers and indeed the industry at large now go to great lengths to encourage people to avoid being overly exposed to one particular asset (even if, as already stated, historically one particular asset class has performed above all others!). Investors are now encouraged to have a balance of 2 or more asset classes, such as equities and bonds, or equities, bonds and property etc etc. This is done ultimately in order to try reduce the volatility yet still achieve reasonable returns. For more on diversification by all means this might be useful (or not!). In a recent blog (which wasn't very popular - I must work harder on my blog titles!!) we looked at sharing insights on managing risk in your investments.....and one of the key risks to manage was the risk of your investment drifting off-course from it's intended destination. Rebalancing is the act of putting your investment back in line with it's destination! Imagine, if you will, that you are the pilot of a plane. You are flying out of Dublin Airport pointed in the direction of New York. When you leave you are pointed directly at New York, with both the left engine and the right engine at equal power levels. As you fly over the Atlantic the power going to the left engine increases by 15%, while the power to the right engine falls by 20%....it's a gradual shift and one you don't really notice (your a shoddy pilot it seems!). If that imbalance of power to right and left is not corrected (and assuming you have no rudder!) then the direction you are now travelling will be way off course. If not corrected you'll end up somewhere around Nova Scotia....which I'm sure is a lovely place, but not where you wanted to go! We're not experts on flying here but it'd probably make sense to check the power going to the engines on each side of your airplane. If the levels you had them at when you left Dublin become imbalanced you'd be wise to rebalance that power at regular intervals. That way you'll stand a much higher probability of reaching New York. Now that will seem very abstract and removed from your Investments and Pension plans I'm sure, but please do bear with us! For illustration, and whether you do or you don't lets assume you invested a lump sum, or you made a lump sum transfer via a pension fund, of €100k. The nice advisor you met at the time in 2012 told you that a multi-asset fund was your best bet to achieve the 6% you had set out to achieve with your investment, over the long term. So you opted for a fund made up of 50% US Companies, 20% Global Companies, 30% Government Bonds. In essence you have 70% in Equities and 30% in Bonds. €70k was invested in rewarding yet volatile Equities and €30k was invested in more stable but less rewarding Bonds. That was the mix (portfolio) that you were happy with and that was projected to deliver the 6% over the long term that you planned to achieve when you started the investment. Your engines are set up with 70% power to equities and 30% power to Bonds. Right!? In the 5 years since you put this investment in place the Equity portion of your portfolio has grown in the region of 70%. Meanwhile the Bond portion of your fund has grown by less than 1%! What do you think this has done to the balance of your engines?? Your €70k in Equities has grown to approx €119k, while your €30k in Bonds is still €30k. Your total portfolio is valued now at €149k. So you are happy, you meet your advisor and you tell him he is doing a great job. Everyone is delighted. However your engines are now massively imbalanced in comparison to how you initially set them up; you have 80% power going to equities and 20% going to Bonds. (119/149 Equities & 30/149 Bonds). While you might argue that is a positive because you have more of your portfolio in the most powerful returning long term asset class (you'd be right!) however it is not in line with nor in the direction you originally set. You set your portfolio according to your plan of achieving 6% return over the long term, and at a certain level of volatility. You are now more exposed to volatility and temporary falls in the value of your fund, than you were when it was a 70/30 equity/bond portfolio. Rebalancing is the act of selling, in this instance, equities and buying bonds every so often in order to keep the balance of your portfolio on the original course. Simple as that! If it was the other way around and Equities fell through the floor and Bonds were growing you would be selling Bonds and buying Equities to keep that balance at 70/30. In the simplest and most honest of terms it is the act of taking some money out of your winners and investing it into your losers! Might not make sense on the face of it but we'll get to that! There are various ideas on how often is best to do the rebalancing, some say quarterly, others say yearly is enough. Whichever it is, it's probably wise to do it consistenly if you are going to do it at all. If you are paying into a saving or pension plan monthly basis then you can manage the balance by simply buying whatever portion of each per month is needed to keep the balance at the 70/30 split (in this instance). Does Rebalancing Actually Help Me?? Really interestingly (for me anyway!) is that if you do adopt a discipline with your rebalancing it removes any guesswork in investing and keeps you honest. It will prevent you from getting carried away at times like the present day where equities are rocketing. The temptation would be to pack in your original plan of 70/30 split and go 'all-in' on Equities because 'they are going so well'. This would inevitably be a bad move for the 70/30 investor as it would expose them far beyond they are actually comfortable, and expose them to far more volatility than their plan suggested they take. So from this perspective it most definitely works, it keeps you honest, keeps you on plan and stops you acting the maggot with your own money! Does Rebalancing Deliver Better Returns? In pure return terms it could be argued that there is merit in rebalancing also, irrespective of the assets you are holding in your portfolio. There will be thousands of examples of where it delivered more and thousands where it delivered less. But let's look briefly at 1 example, the period between 1975 and 2010. €100 invested in 1975 into a portfolio of one third US Stock Market Index, one third Canadian Stock Index and one third Bond Market Index. In this 35 year study conducted by moneysense this portfolio was stacked up against a straight investment into Canadian Stock Index. While this is technically a bit like comparing apples and oranges it was an interesting one. The annually rebalanced portfolio containing the Bonds outperformed the straight Equities portfolio. While it beat it only marginally it certainly caught some people's attention in terms of it being a decent, and indeed simple, long term investment approach. Does Rebalancing Beat A 'Buy & Hold' Strategy? There have been other mathematical studies to determine whether you will achieve greater return by rebalancing a portfolio or just leaving it to do its own thing over a period of time! What has been shown in a number that we have reviewed is that the rebalanced portfolio will outperform the 'buy&hold' portfolio approx 70% of the time......however by only a tiny fraction. Also over periods where the 'buy&hold' beat the rebalanced approach it beat it by more than twice the amount which rebalanced beat it. Should I Rebalance My Portfolio? The imperical data suggests that you have a higher probability of achieving marginally better returns by rebalancing. The evidence is not overwhelming however. What rebalancing will do is keep you honest. If you are disciplined with your rebalancing it will keep you on track, it will stop you rushing into or indeed out of Equitites when markets are really good or really bad! In addition it will keep you in a portfolio split which you initially signed up for, and which was predicated by your investment plan. You did have an investment plan didn't you!!? That, from our perspective, is the single biggest benefit of disciplined rebalancing. All of the benefits are only realised if you had an investment plan to begin with. We would insist that anyone investing has a plan, has a clearly defined goal, an investment mandate and a clear end in mind. Otherwise you are just gambling blindly....and that rarely ends well! Thanks a mill for reading, sharing and hey we'd love to have you join our community here.